Ireland’s Trinity College Dublin is currently seeking expressions of interest from industry and research professionals within the Raw Materials/Mining Industry, who wish to develop the capability to drive innovation, solve global industry problems and identify new business opportunities. This is a forum for highly skilled professionals to develop the 21st century skills of innovation leadership, creative problem-solving, critical thinking and collaboration, whilst developing highly relevant, valuable networks. Up to 40 mining professionals across Europe will attend this immersive, highly experiential programme focussing on developing innovative solutions to global mining issues. The first two days will introduce participants to the methodologies and frameworks for innovation, discovering tools such as design thinking, growth mind-set, story-telling, creative problem solving and critical thinking. 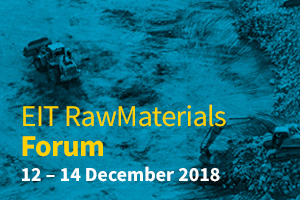 Thought leaders from academia and industry will also discuss the challenges of the mining industry and opportunities for innovation within the developing circular economy. On the third day, participants will work in teams on an innovation challenge set out by our industry partners, Aughinish Alumina (Ireland) and Outotec (Finland). A networking dinner on the first night is also included. This three-day program is designed to create connections, spark new ideas and develop collaborative solutions to industry-specific problems. This programme is funded by European Institute of Innovation and Technology therefore, all participant fees are covered (normally 2,950 euro). Participants are expected to cover travel/subsistence costs for the duration of the programme.